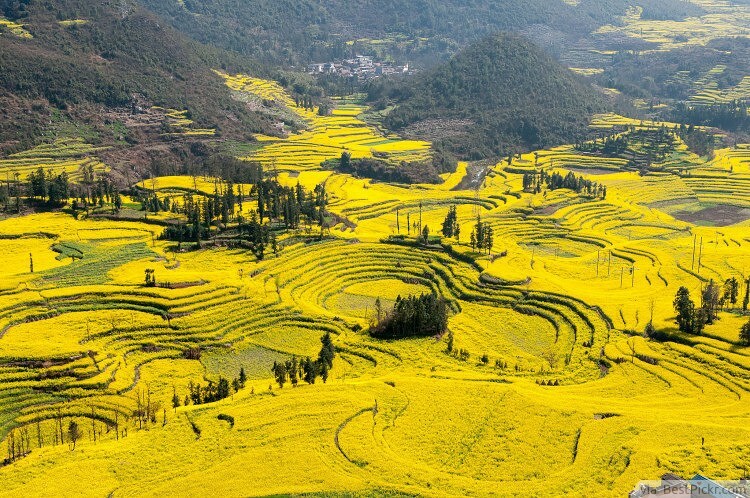 The Canola Flower Fields in China’s Luoping are one of the world’s most beautiful sights. 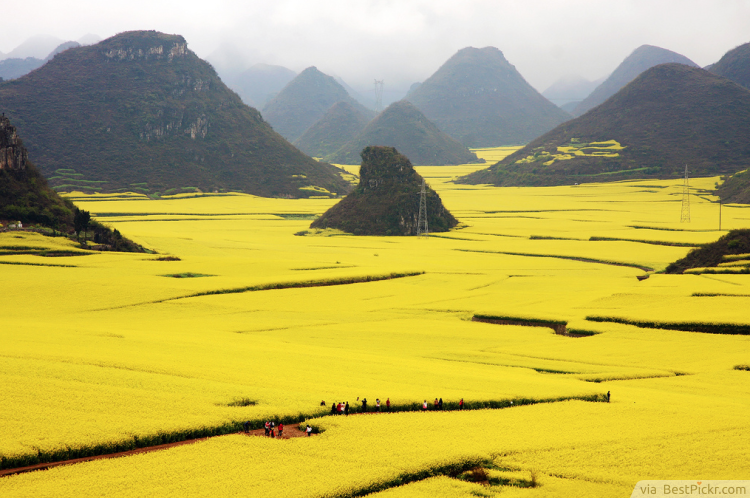 In early spring, you can witness an amazing golden sea of blooming canola flowers. 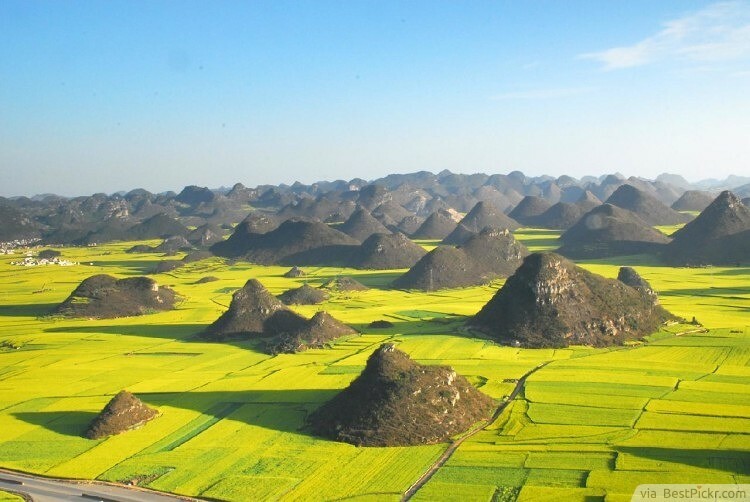 Vast farmlands are covered in golden and yellow flowers that stretch as far as the eyes can see, all the way to the horizon.